Our Catalogue Officer, Rosemary Munro, reveals more about her Speak Out work. 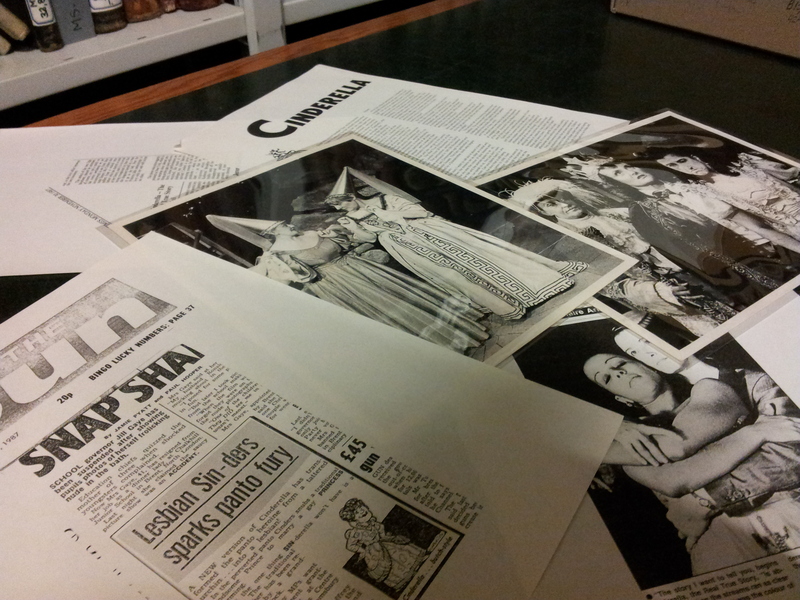 One of the collections that we’re going to be cataloguing as part of Speak Out is the archive of The Drill Hall, an arts centre run by Central London Arts Limited with a long history of showing radical plays and performances. The collection starts from the 1970s and continues until 2012, at which point following the sale of The Drill Hall the organisation became known as Outhouse London. 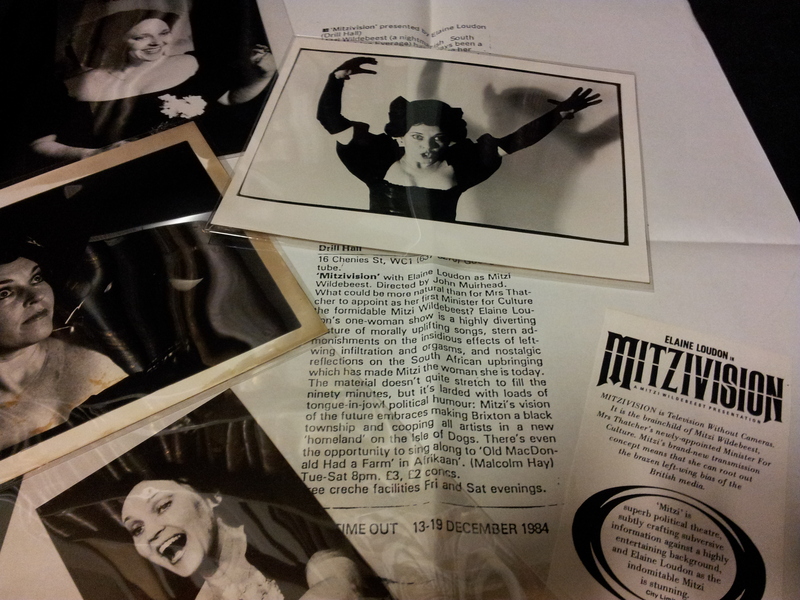 Each file in the collection contains records of a performance (or sometimes a few performances), which could include correspondence, posters, leaflets, agreements, newspaper reviews, and (my favourite) black and white photos of the performances. There is a real mix of shows and many of them reflect or pose questions about the times in which they were conceived. For example, many deal with the troubles in Northern Ireland during the 80s, as well as Feminism, immigration, and, of course, LGBTQ issues. For me, reading the reviews of some of the productions has been a very eye-opening experience. As a 90s child, it was quite a revelation to see some of the opinions being expressed towards homosexuality in mainstream media outlets such as The Sun as late as the 80s. Dagmar Kattler has made a great start on kick-starting the cataloguing and we have now repackaged and inputted the data for on 124 files. It’s going to be fantastic to get more volunteers involved with this interesting project. Do let us know if you’d like to get involved!